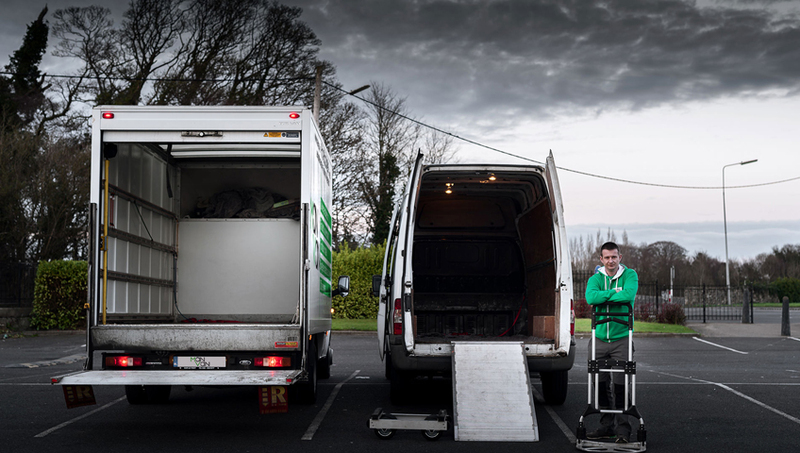 ManVan is a Dublin based house removal company having an experience of over 9 years. We provide services like house moving, office removal, apartment moving, and furniture delivery, storage removals, affordable moving for students, single item moving and piano moving. We have highly trained and experienced staffs that are committed to providing a moving service for professionals and specialists. No matter what you need to move, we assure your valuables will remain safe with us during the whole process. Here at ManVan, we are ready to move private persons from house to house as well as big and small companies. Whatever you need just one man with a van or big truck for a move we are ready to help. We pride ourselves on the level of care that we take with your belongings while moving. Our biggest promise to our moving clients is to be fast and always on time. We operate in south Dublin as well as in north Dublin or any part of Dublin and in whole Ireland namely Cork, Limerick, Belfast, Galway, Waterford, and Kilkenny. Our attention to detail combined with highly competitive rates offers an efficient professional service. We take the trouble away from planning your move with a full range of relocation services. Have a smooth, secure and fast move with us! !